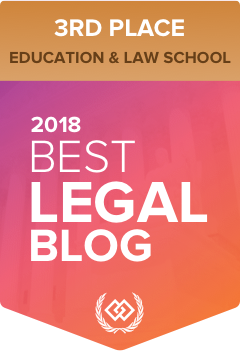 About the Texas Agriculture Law Blog: Welcome to the Texas Ag Law Blog! This blog is an outreach project of the Texas Agrilife Extension Service. The goal of this blog is to keep you up to date on various legal issues impacting Texas agriculture. We are specifically focused on water law, oil and gas law, leasing, property rights, right to farm statutes, and dealing with animal rights activists. We hope to provide a variety of information from current news stories, to recent legal opinions, to the basics of various legal topics. 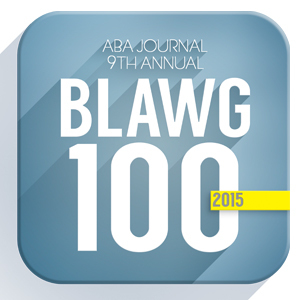 For three years in a row (2014-2016), this blog has been named one of the American Bar Association Top 100 “Blawgs.” We’re glad you are here! About the Author: Tiffany Dowell Lashmet is an Assistant Professor and Extension Specialist in Agricultural Law with Texas A&M Agrilife Extension. She focuses her work on legal issues affecting Texas agricultural producers and landowners including agricultural leases, water law, oil and gas law, eminent domain, easements, and landowner liability. She serves on the Board of Directors for the American Agricultural Law Association and is part of the State Bar of Texas John Huffaker Agricultural Law Course Planning Committee. In 2016, Tiffany was named the State Specialist of the Year for Texas Agriculture by the Texas County Agricultural Agents Association. Tiffany also hosts the award-winning Ag Law in the Field Podcast. Tiffany may be contacted via email at tdowell@tamu.edu or by phone at 806-677-5681. Disclaimer: This Blog/Web Site is made available for educational purposes only as well as to give general information and a general understanding of the law, not to provide specific legal advice. By using this blog site you understand that there is no attorney client relationship between you and the publisher. The Blog/Web Site should not be used as a substitute for competent legal advice from a licensed professional attorney in your state.